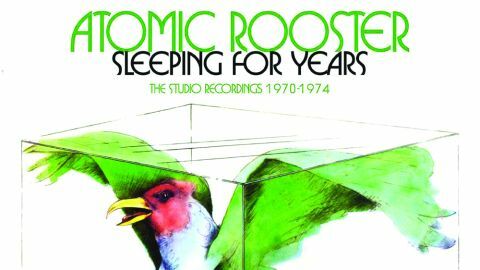 Crawling from the wreckage of the Crazy World Of Arthur Brown, Atomic Rooster started life as a three-piece proto-prog powerhouse featuring keyboard wizard Vincent Crane and prodigious percussionist Carl Palmer, with the band fronted by bassist, flautist and vocalist Nick Graham. Their uncompromisingly experimental debut (released just two months into the 70s) promised much, yet despite the band topping live bills over Deep Purple, it was largely overlooked outside of the underground. Crane eventually bowed to convention and recruited a guitarist, losing first Graham, then Palmer (who, replicating the original Rooster template, struck gold with ELP). Playing the bass parts on Hammond, Crane kept his Rooster slim, and their second album, Death Walks Behind You (with John Du Cann on lead vocals and guitar, and Paul Hammond on drums) was to be their magnum opus. Featuring the gutsy, driving hit single Tomorrow Night and now augmented by career-defining follow-up anthem Devil’s Answer, Death Walks deserves to be an integral part of any serious prog fan’s collection. In Hearing saw the band expanded to a quartet with Pete French taking on vocals, but the arrival of glam, Crane’s ongoing battle with depression and a revolving door recruitment policy saw their fortunes falter. In Hearing saw the band expanded to a quartet with Pete French taking on vocals, but the arrival of glam, Crane’s ongoing battle with depression and a revolving door recruitment policy saw their fortunes falter. Chris Farlowe gave overwrought voice to a decidedly funkier Made In England, but by 1973, Nice ’N’ Greasy’s Hammond-laced, muscular blues-shout workouts started sounding positively archaic. In their day, Atomic Rooster sat comfortably alongside Sabbath, Heep and Purple as early architects of what was to become metal, but their unsatisfying story ended tragically with Crane’s suicide in 1989.